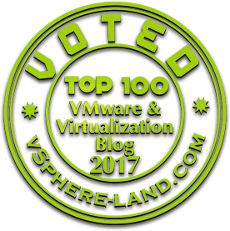 While delivering VMware vSphere class globally I often get chance to talk about various Backup solutions which my participants are using and in their current VMware infrastructure and some of them which i have heard/worked on and how these Backup softwares are saving their life as an admin by providing advance features and functionalities. So thought of dedicating few articles and providing a quick overview about some of the Top Backup Software to choose from for your Virtual Infrastructure let's get started. ** Note : The below list doesn't show any preferences about which solution has been listed first second and so on, it's purely my own selection when choosing the Top Backup Software. Nakivo Backup & Replication is available for VMware,Hyper-V (To be made available in version7) and AWS EC2 environment. Available with various deployment options - Preconfigured virtual appliance (which contains all components of NAKIVO Backup & Replication including Director, Transporter, and Backup Repository), Windows based installation, Linux Based installation, Installer for NAS and Preconfigured Image for our AWS EC2 Environment. Cloud Integration - Nakivo Backup and Replication can be integrated with Amazon EC2 wherein by Selecting Nakivo backup and replication Free edition from AWS Market place we are suppose to pay for our EC2 instance running in AWS which may vary depending on the EC2 Instance type we selected during the launch process. We can also perform VM backup directly to public clouds including Azure, Google, IBM, Rackspace and perform backup for VMware vCloud Director vApps Virtual Machines. Instant Object Recovery for Microsoft Exchange, Microsoft Active Directory, Full Recovery for Virtual Machines and individual files within VM (VMware,Hyper-V). Vembu BDR suite is installed using simple executable file which downloads Mongo Database, MySQL RDBMS and MySQL connector and is supported for Windows Server 2008 R2, Server 2012 and Server 2012 R2 and Vembu also alternatively allows PostgreSQL as a single prerequisite software. 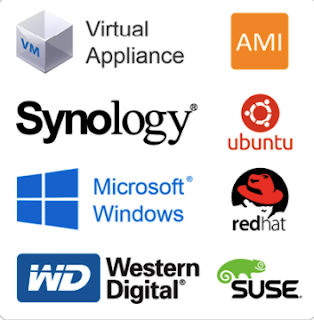 Instant VM recovery options helps us to instantly launch the backed up images of Virtual Machines as ready state on ESXi host or Hyper-V or any other hypervisor. Disk level recovery can be performed wherein we can restore Virtual Machines backups at disk level. Cloud Integration - Added layer of protection helping us to transfer data to Vembu's Cloud including File Backup, Server Backup, Application backup for Microsoft Exchange​,Microsoft SQL​​​, Microsoft SharePoint & Microsoft Active ​Directory​ with Granular restores. Vembu Hive file system by Vembu exposes every incremental backup as a virtual full backup(Vembu Virtual Drive) which will virtually create VMDK, VHD, VHDX and IMG image files for every backed up Virtual Machines that can be used to instantly boot the Virtual Machines on VMware, Hyper-V, and KVM.VembuHIVE also supports built in error correction by creating an additional parity file and the information in this additional partity file help fixing errors in any event of data corruption. Veeam Backup and Replication provides full Virtual Machine Backup, Individual Files,Tape Backups and application items including Exchange, Active Directory, Oracle. With Veeam latest backup and replication 9.5 there has been quite improvements with agent less item recovery and eDiscovery for Microsoft Exchange, SharePoint and Active Directory. With their existing storage snapshot integration i.e taking backups from storage snapshots by retrieving Virtual Machine Data for (HPE, Netapp and Dell EMC) Veeam Backup and Replication v9.5 has now extended direct storage snapshot support to Nimble. Extended Support for VMware vCloud Director which allows the tenants to create, execute backup jobs and restore for their application items, guest files, full Virtual Machine and Full vApp restores. ** In today's competitive market there are wide variety of options to choose from when considering your backup and recovery software and it's not a complete list because we have only seen 3 Top Vendors Backup Software, I would be dedicating few more posts in covering some other vendors which are in my mind and as i mentioned earlier these are my views and doesn't talk about anything related to who is on top of the list or bottom of the list.